Wish you all a great Sunday! It is crazy here how hectic it feels although I am hardly working. Yesterday I couldn't make it out of the flat! Although it might be because I was trying to watch the movies I missed from Oscar's. Yesterday we watched Room and we really liked it. What was especially nice was the ways they made the room appear very small or big depending on whose point of view it was. Oh and I couldn't get the kid was a boy! LOL, have you watched the movie? Who do you think will get the best picture? Academy Awards fever aside, thanks to my dear friend Linda, this year I was fortunate enough to lay my hands on some Chanel Asia Exclusives. It is so unfair to see some of the countries such as the States and UK (only airport?) getting these collection while we have to hunt. The theme of the collection is the pearls so my picks were the products which were "pearly". I went for the star of the collection, the Illuminating Powder called Perles Et Fantaisies. I completed this with Illusion D'Ombre #112 Iridescent and Le Top Coat Clarté Brightening Top Coat. I have been enjoying these for a week now and I would like to share my thoughts with you today. The collection is still available on Chanel's online boutique in the States and in Asia across counters if something catches your eye. 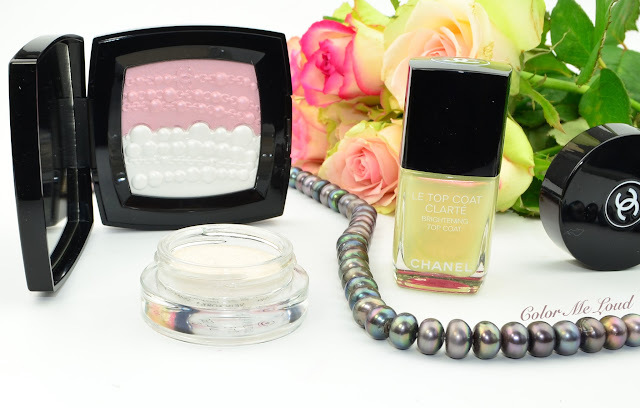 I usually go for a few products from Chanel's Asia Collections each year. Last year there were a gorgeous eye shadow palette, lovely taupe silver Illusion D'Ombre and a matching eye liner, all reviewed here . This year's Illuminating Powder made my make-up heart skip a beat . I was not really interested in how good or bad it performed, I needed it in my possession! I know it sounds terribly wrong but hey, isn't this a reason for me to blog after all? You can understand how I feel and make me feel normal again (please do!). I am an avid Chanel nail polish collector so the pearly top coat was something I needed to get. It is also interesting to see that the top coat didn't make it to the States. Or did it? Have you seen it there? Chanel Le Top Coat Clarté (Brightening Top Coat) is love for me simply because it adds a little bit of something without too much glitter or changing the base color too much. You can see below that I applied one coat over two coats of Chanel #655 Beige Rose (reviewed here). You can see that the yellowing pearl undertones make the base color appear a little peachier and it gives a subtle pearl finish which you can see in the second photo with direct sunlight better. I suspect the effect is stronger once the top coat it applied over a deeper shade but matching to the theme, I wanted it to stay delicate and soft. I also wanted this to much with the roses I had last week, hah, what an excuse, right? I like the fact that you can get a nice smooth cream base and make it pearly without having to deal with streakiness and all that. After I shared a photo at Instagram some of you noted that MAC had a similar top coat. I just checked to see, it is permanent, the name is Highlight (Top Coat). I will try to check that at MAC Counter and edit here to let you know how close these are since Chanel Le Top Coat Clarté is very hard to find for most of us. 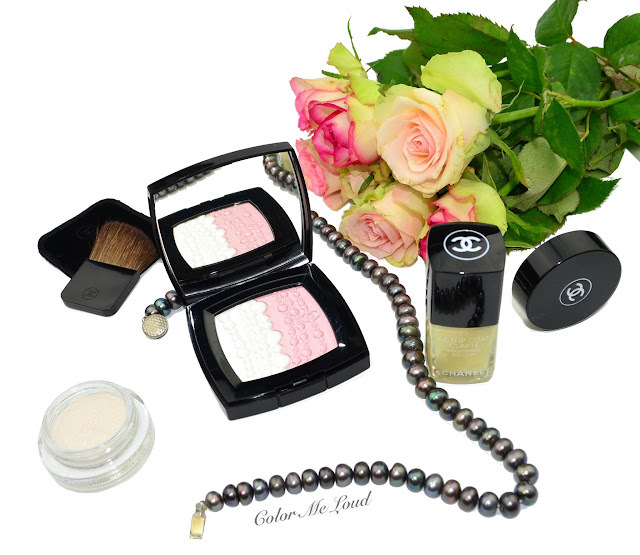 Chanel does amazing powder and mostly they are so gorgeous in terms of embossment. If you are a collector, you need this. The other people? Maybe not so much, in case you can overlook how pretty this is. How does it perform? It is a subtle highlighter. It needs building up to be show up on my dry skin which eats up all the shine. I love the fact that it has a light base color so it highlights in both ways, not only because it has shimmer but also because it is lighter than my skin tone. I believe if you are very fair and all the highlighters look dark on you, you might like the left part of this beauty. Another thing to mention is that the design doesn't go away easily even if you finger swatch, which I did for this post but will never do again. I suspect it could be a holy grail highlighter for fair combination skin. Now of to my favorite of the bunch, Illusion D'Ombre #112 Iridescent. Honestly I didn't think I would love it that much. I ordered it because I have all the IdOs up to date and didn't want to miss another. But when I swatched it, gosh, the duo chrome effect in there, I die! Just tap a touch of that on your eye lids and enjoy the beautiful pearly effect all day long without any fall out or fading. Big love! Below I applied Chanel Illusion D'Ombre #112 Iridescent over the new Rouge Bunny Rouge Eyeshadow Palette in Antigo, which I will review soon (and no it is not released yet!). I will definitely go for a dark base and Iridescent on top when I have my Make-up mojo back, hopefully in the next days. I feel so uninspired when I stay at home and not go to work, how odd! Anyway.... Love this one, seriously. It adds a little bit of something to every eye make-up without making it too obvious. Don't you think? Here is the look in context. I am wearing Chanel Perles Et Fantaisies on top of my cheek bones although it is very subtle and the camera doesn't pick it up too much without a flash. 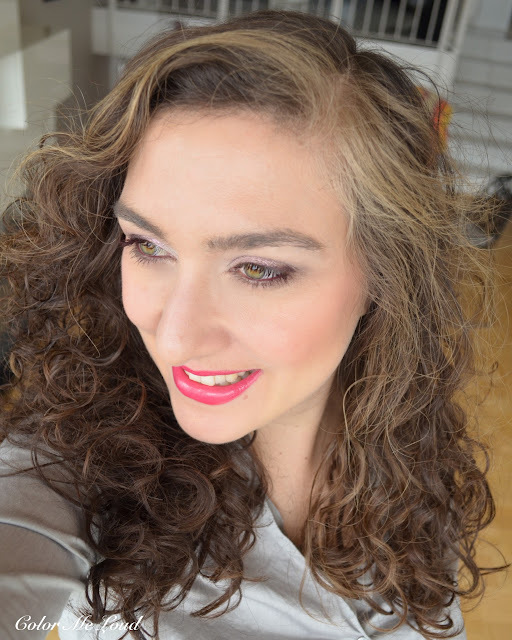 On my lips I am wearing Urban Decay Phone Call Lipliner and Lipstick from Gwen Stefanie Collection (reviewed here). There is also a gorgeous pink lipstick in Chanel Les Sautoirs Collection which I passed because of the lipstick excess here at the moment. Final thoughts: Perles Et Fantaisies is another beautiful collector's item from Chanel. The highlighter is really subtle and would be great on fair complexions, especially on those with combination skin. 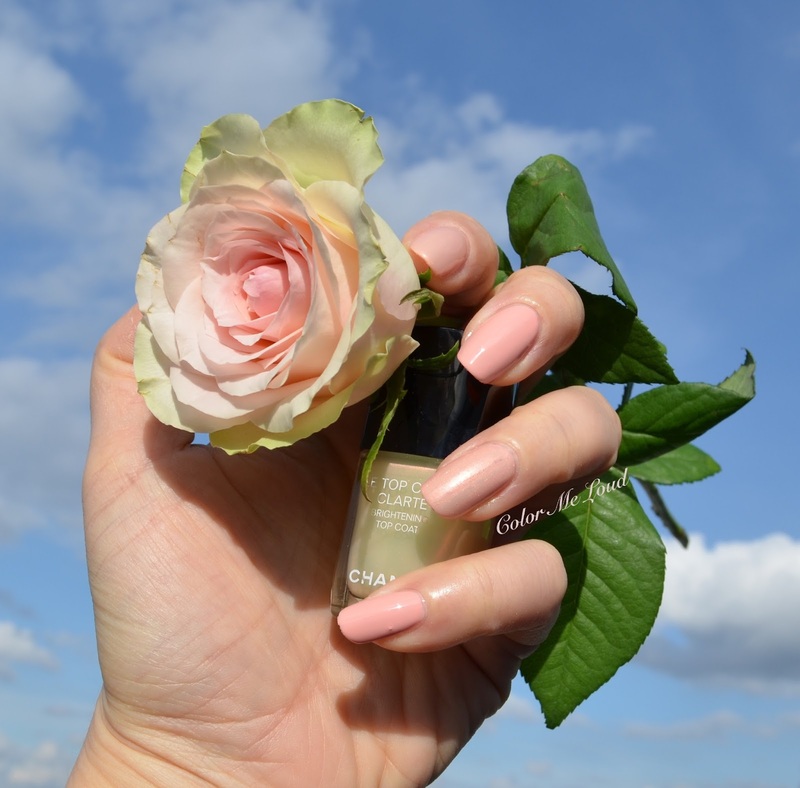 Pearly top coat Le Top Coat Clarté is a lovely way to add an effect to the nails without getting too glittery nor too much of something. My favorite is definitely Illusion d'Ombre #112 Iridescent as a topper to another eye shadow. 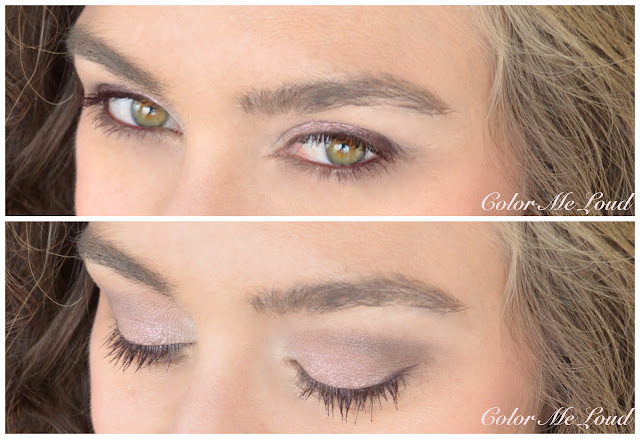 It adds some duo-chrome iridescence, a subtle and beautiful way to redefine your eye looks. Have you picked up anything from the collection? Do you use toppers over your eye shadows? Disclaimer: The products in this post were purchased by me. You made the perfect decision! 😊 The products look absolutely gorgeous on you! Oh my, I NEED (want) those eyeshadows and the nailpolish as well 😉 Where did you buy them? Haven't found this collection anywhere... Have a nice evening! Vielen Dank Meike. Eine Freundin aus Singapore hat mir geholfen. Es ist Schade dass Asia Exclusive Kollektionen in Deutschland sehr schwer zu bekommen sind. Ich denke es gibt genug interessierte. Du kannst eventuell aus der USA bestellen, Nagellack gibt es dort aber nicht. Everything looks great on you. It is a pity that again another collection isn't available in Europe. It all looks lovely! 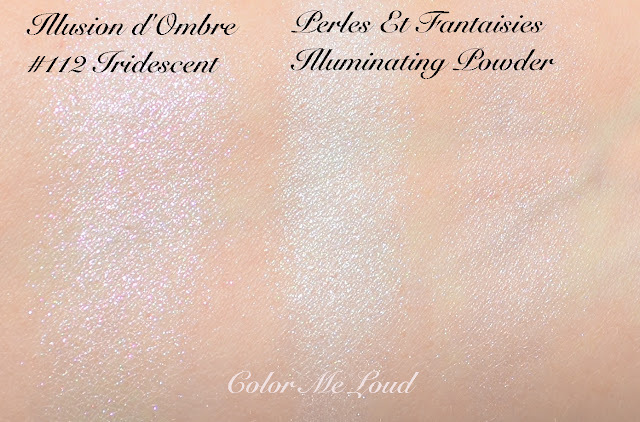 I'll pass because I so very rarely use highlighters, and I already have a LE Illusions d'Ombre in a white shade with glitter (Fantasie?) but they look great on you. And the top coat almost gives you "mannequin hands." Very nice! MAC Liquid Pigment (Top Coat) Nail Lacquer are really beautiful and comes in three variations. Gold Pearl, Green Pearl and Pink Pearl. 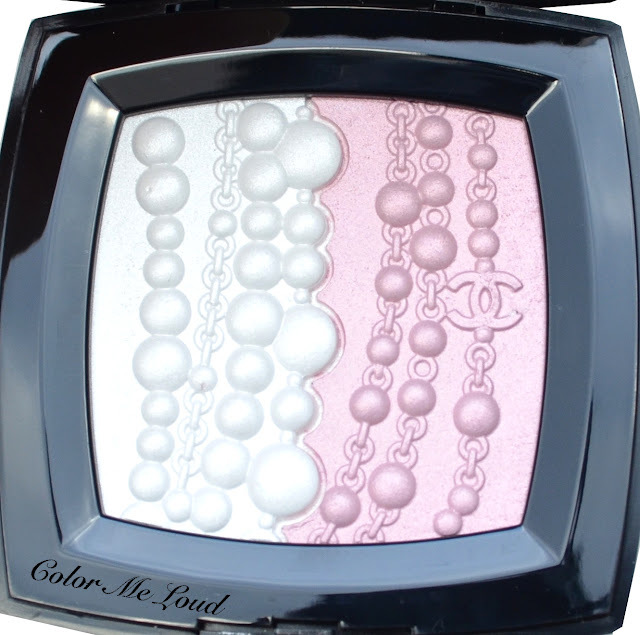 As for the Chanel Perles Et Fantaisies, I swatch it in store ( I didn't see nail polish in the collection either) and I think it is just for collecting, the powder itself does not perform great for this price. I'd buy the highlighter just to have in the collection. I'm unsure if it will be released in Australia but I have been keeping my eyes peeled. I hear you but I am so used to it, each time I am like "oh ok not available? Let me go hunt." Throughout the years I gained some friends while hunting collections, that is the good part of it. I am curious about how you use the quad. I am somehow a bit bored of Chanel quads lately. I love the permanent ones but the limited edition ones didn't excite me that much since a few seasons. I am hoping that the summer collection will be better. thanks for the information. 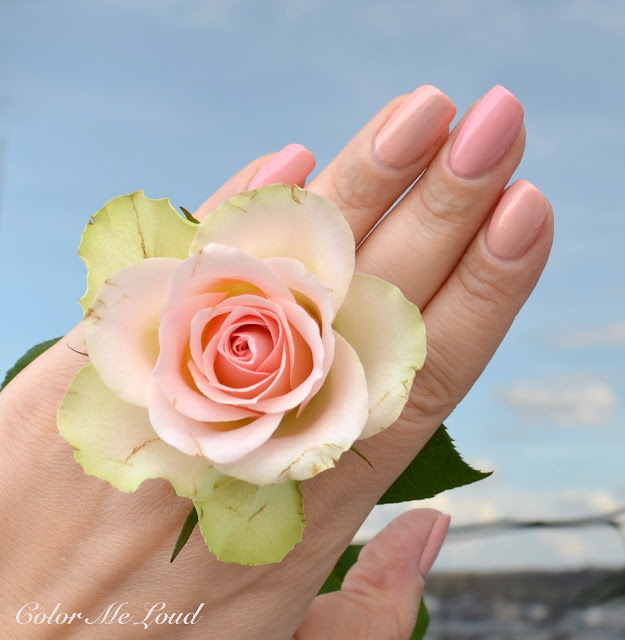 I have seen that MAC has a couple of top coats and some of them are described to give a pearl effect. Chanel one should be close to Gold Pearl I believe. The powder is really for collector's, not really an item to use daily. You shared with me my anxiety of whether I would find the precious highlighter at terminal 5 but now I regret that I didn't have much time to pay attention to this wonderful IDO since I was focused on the amazing highlighter ! I got the rouge allure though and the creme blush which had s beautiful pearly sheen so well played to the pearly spirit of the collection ! I hope that soon the brands will decide to release the collections for everyone interested everywhere and not only in terminals !